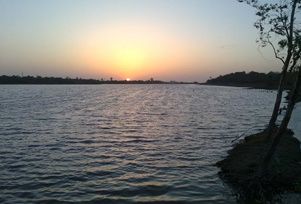 Five kilometres from the city, Lal Pari and Randerda Lake are popular picnic spots for the travelers and dwellers of Rajkot. Both the lakes attract migratory birds like Black Tailed Godwit, Rosy Pastor, Pheasant Tailed Jacana, Purple Moorhen, Wigeon, Common Teal, Pelican and Spoon Bill. Lal Pari and Randerda Lake is a must visit ornithologist and people who love bird watching.